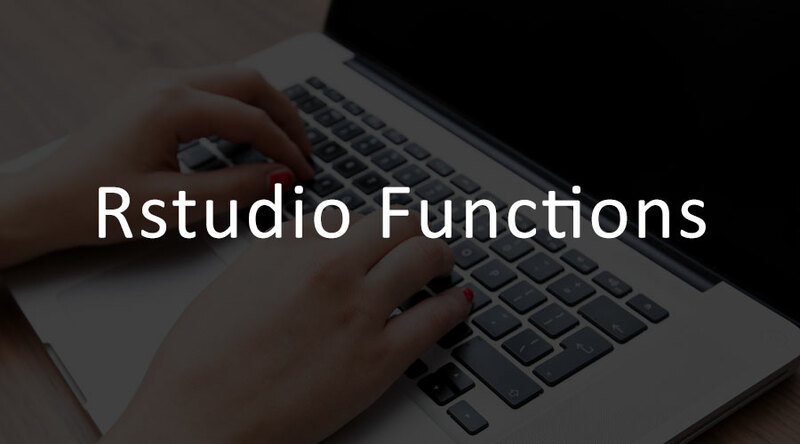 If you want to know what R-studio Function is then first you need to know what is R.
R-Studio is an Integrated Development Environment (IDE) which integrates with R to perform further functions of R.
R-Studio is a set of integrated tools designed to help you to use R more productively. It was founded in the year 2008. R-studio Function is a code editor with very good features that will make code development easy in R. R-Studio lets R to run in a more user-friendly environment. R-Studio is free of charge to download in Linux, Windows and Apple, iOS devices. One can use R without R-studio software with any other editor to write the scripts. But R-studio software cannot be used more effectively without R.
R-Studio is available in open source and commercial editions on the desktop of Windows, Mac, and Linux or in a browser connected to R-Studio server or R-studio software server Pro. You can change between the 32 bit R installation and 64 bit R installation. The default is 32 bit. You can also choose any specific version of R by choosing the browse option. In the Options pane, you can also modify the behavior of R in R-Studio. R Script is where you keep a record of the file. The top left corner of the screen has a text editor which allows you to work with source script files. You can enter multiple lines of code and do other tasks on your script. This code editor works like every other code editor. It is a smart code editor which highlights various elements of your code. Workspace tab is located in the top right corner of the R-Studio screen. The workspace tab stores any object, value, function or anything you create using R. You can also inspect the variables you created in R session. Every time you open R-Studio it reaches a default directory. You can change the default to a folder using Tools à Options menu. Plots tab will display the charts and graphs. If there is more than one graph to be displayed then it will display all the graphs as icons. In order to extract the graph, Click on the Export option where you can save the file as an image or in PDF format. This option will be useful to you when you want to share the graph or use it in any other document. You can copy the graph to the clipboard and then paste it directly into your destination document. This tab also lets you display 3D graphs. You cannot save such graphs but you can take a screenshot of the graph and paste it into your document. This tab shows the list of all the Add-ons installed in R-studio Function. Package means the self-contained set of codes that defines functionality to R. You can also add new Add-ons by clicking on the ‘Install Packages’ icon, then write the name on the add-on in the pop-up menu and click the Install button. This tab will let you browse the built-in help system of R.
When R-studio programming Commercial version is compared with R-Studio open source it has a lot of additional features and advantages. RStudio Server Pro provides security, resource management, metrics and commercial data support services to R.
tidy – These are tools to change the layout of your data sets. Tidy data is data that is easy to work with in R.
dplyr – It offers quick data manipulation and offers shortcuts for sub-setting, summarizing and joining data sets. testthat – Offers an easy way to write unit tests for your code projects. It makes the testing activity more interesting. So here are some articles that will help you to get the more detail about the R-studio software, R-studio function, and also R-studio programming so just go through the link which is given below.